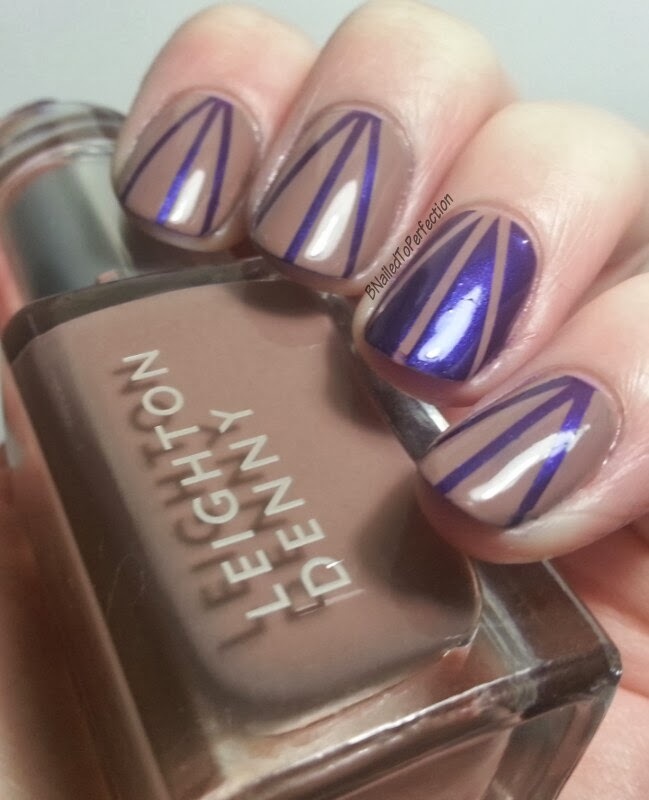 B Nailed To Perfection: Something different for me..Regular nail polish mani. Something different for me..Regular nail polish mani. Hi all. Today I have something a bit different, a manicure using regular nail polish. Last week at work I completely snapped off two of my nails so they are way too short too cap and still a little sore so I've decided to take a break from my gel polish this week, on those two nails anyway. I first applied my RCM Structure base coat and RCM Brilliance top coat to my nails. On my broken ones I applied a new Sally Hansen clear polish. Gel polish is a really good base for regular polish. I find it helps it go on smoother, helps it last longer and I think it helps it dry quicker too! 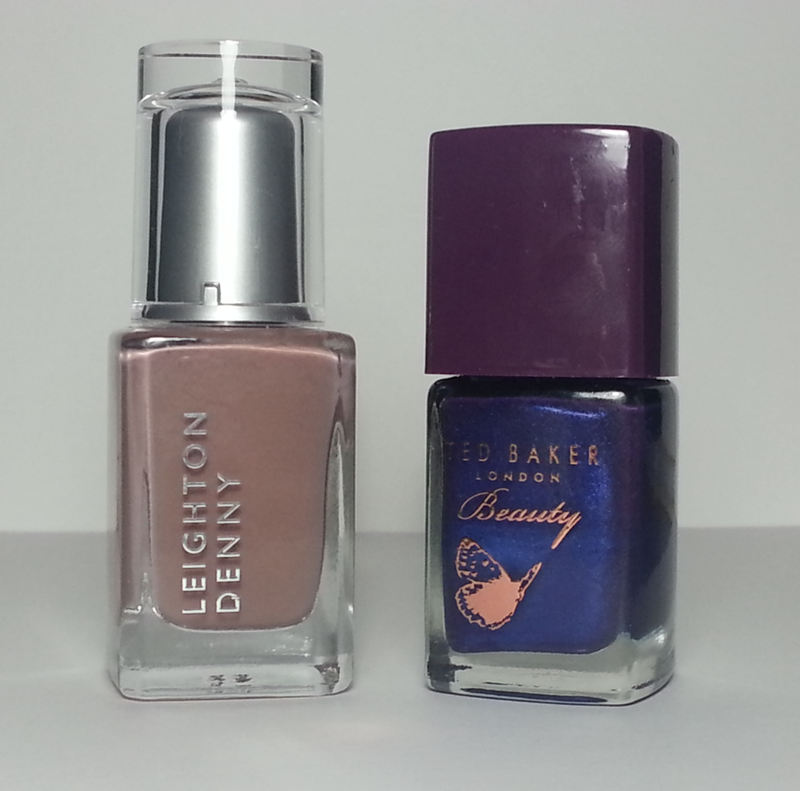 I used Supermodel from Leighton Denny and a purplely blue from Ted Baker that I got in a gift set for christmas one year. I don't have very many regular nail polish but I thought these two looked nice together. 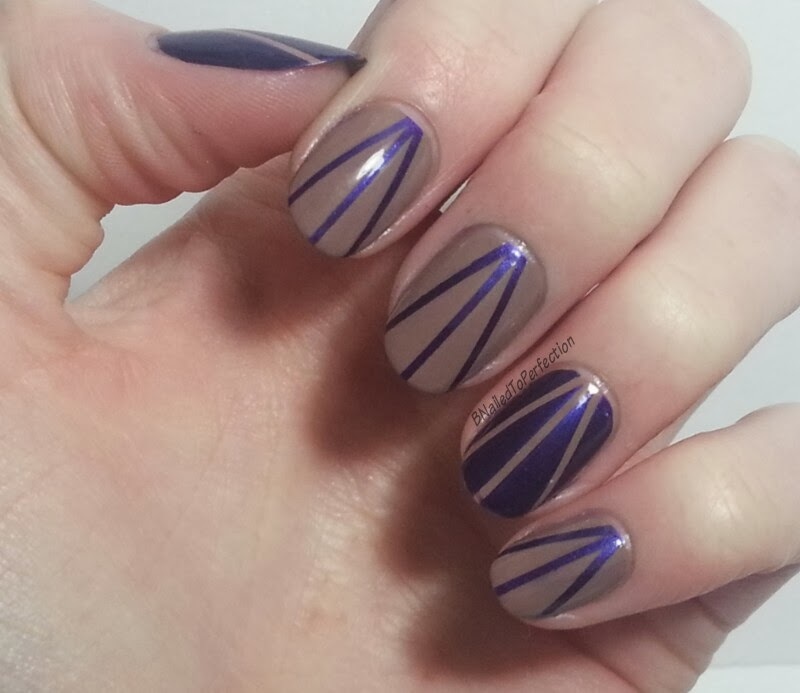 I applied one coat of the colours as a base and once it dried I put striping tape over it. Then I painted on the second colour and removed the tape as the polish was drying. 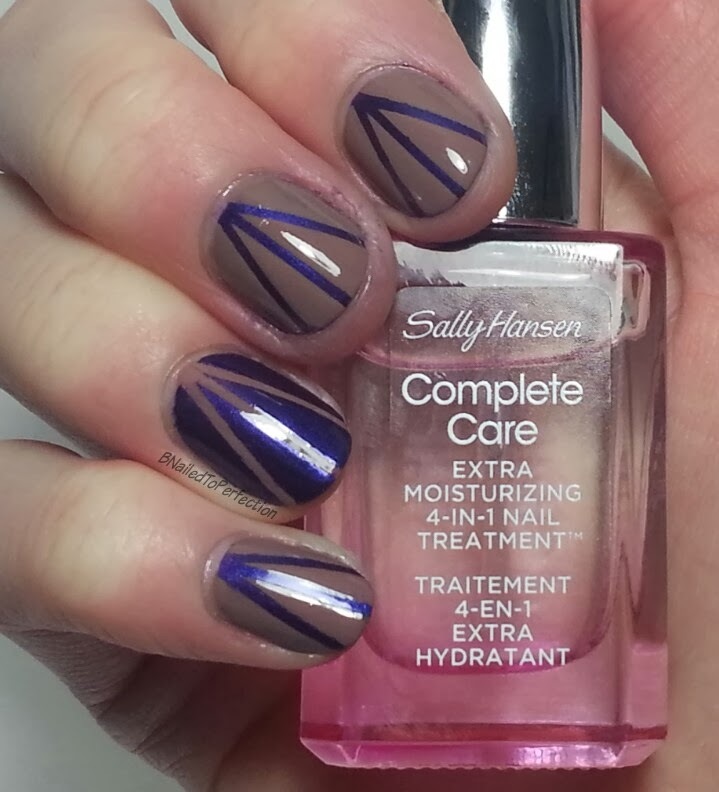 For my top coat I used Sally Hansen Complete care. This claims to give you visibly stronger, longer and healthier nails in just 3 days. It also says that it's a "Mega Gloss Top Coat" and I feel it lives up to that claim. As you can see the nails have broken pretty far down :( so lets hope this polish does the trick! Hope you all liked this design. Leave a comment and let me know what you think. 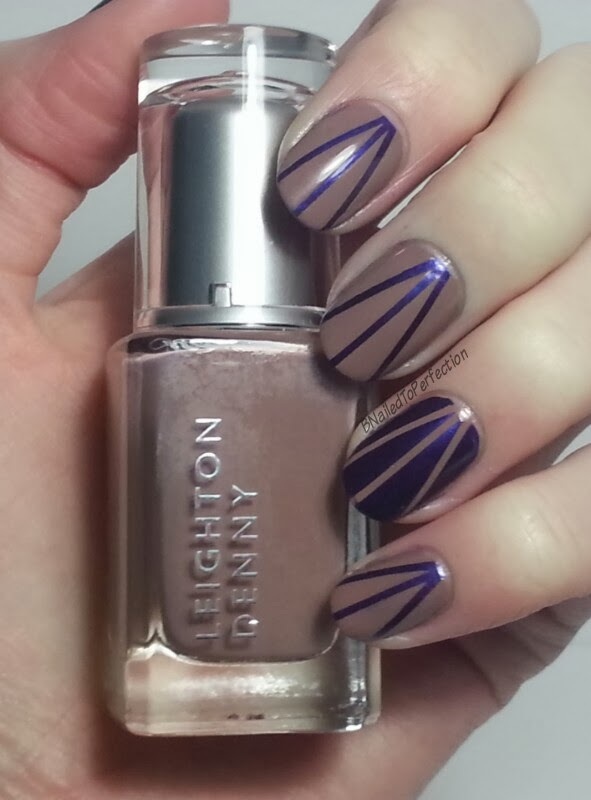 I'm back :) ....with Shimmer and Chevrons.